All project data and analysis results in the application are displayed in table format. The ability to interactively search and filter the information is an essential part of the application and two complementary functions are provided: a simple search text box and a more powerful row selection query by column filter. 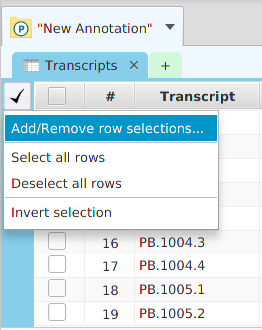 If you choose the «Add/Remove row selections…» menu item or right-click on the table column, you will be provided with a criteria editor so that you may specify the filtering criteria. 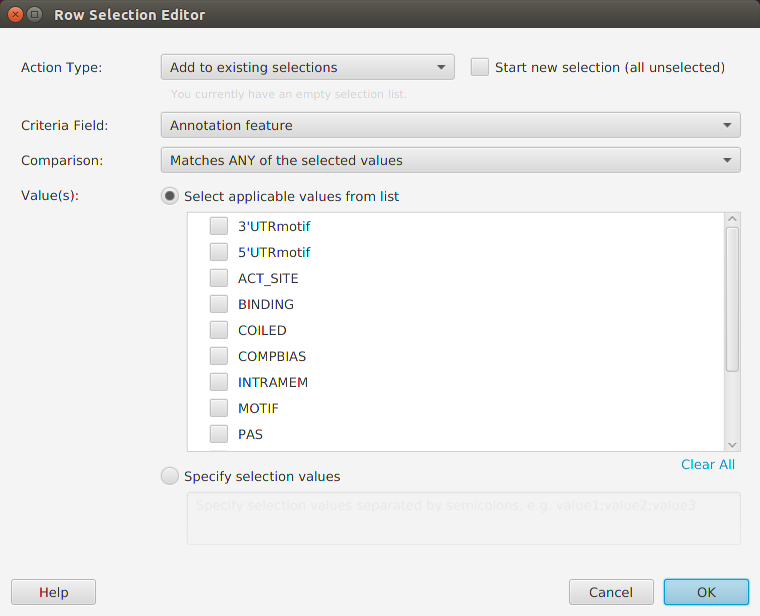 The filtering options available on the editor will change based on the content type of the column being filtered.